"After the move, it was such a blessing to come home and not have to face chaos." "After our move, Let’s Make Room's team got our entire kitchen and dining room unpacked and organized in one day – a job that would have taken us weeks to accomplish!" "Lis not only helped me with specific areas, she taught me systems that I can use on my own to tackle other projects. This is truly empowering!" "This is weeks of your life that Let's Make Room took care of in just 3 days! We will never move alone again!" "Avoiding the likely need for marriage counseling, wrenching one's back unpacking or not finding anything after the remodel, made it totally worthwhile." "If you're questioning whether it's worth it to hire someone to help organize your move, or just organize your office, don't think twice and hire Lis." 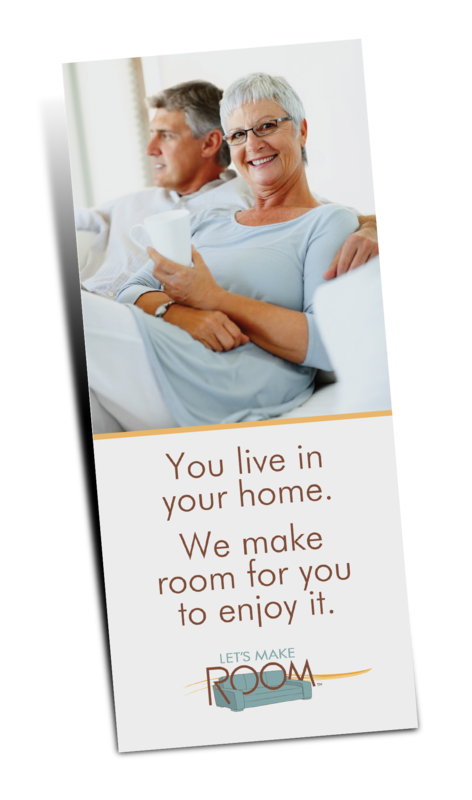 Our expert team organizes your home's contents quickly, carefully & without judgement. Enjoy life with less clutter and more room for you. Living and storage areas. We do the heavy lifting. You make the choices. Why waste time and money going it alone? We get it done right in a matter of hours. We get you ready to move, remodel or get downsized. We take care of the details from helping you decide what goes where, to hiring great movers, to managing your move on move day, even if you can't be there. Once the movers leave, we get you set up in your new home; Kitchens, bedrooms, living and storage areas. You're ready for life, not living out of boxes. You deserve a stress-free move! Plow through your paper piles, stay ahead of your to-do list and clear your mental and physical clutter with Lis McKinley, Certified Professional Organizer (CPO®). 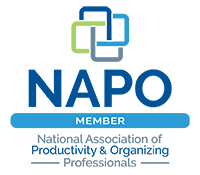 Learn to successfully manage and organize your paper, mail, tasks and projects. Lis helps you identify your priorities and gets your paper organized so you can get more done and feel in control of your life.